The Standard is back. And it’s forming a musical bridge linking generations from World War II through Post-Millennials together in perfect harmony. 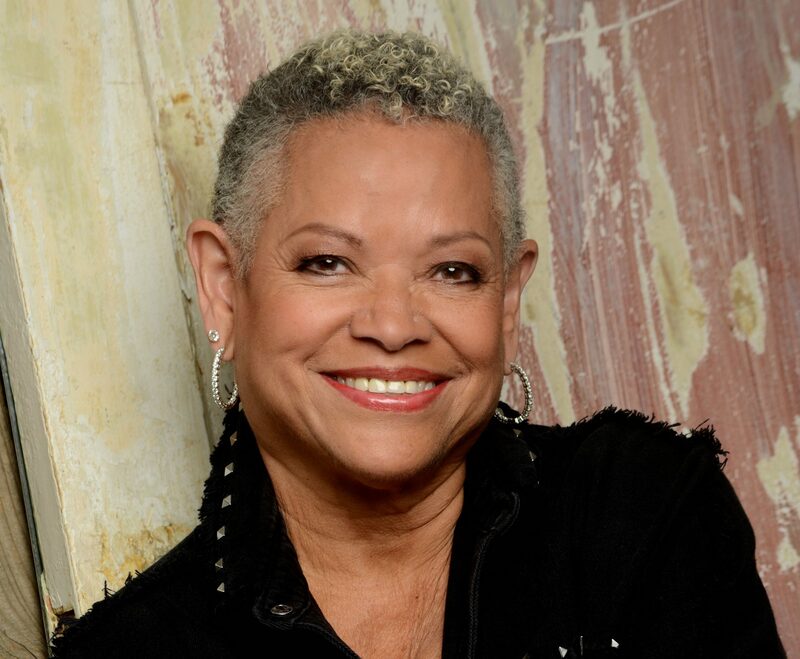 With the digitally re-mastered re-release of her breakthrough album “Yesterday Is Now,” Josephine Beavers crosses that bridge with a distinctive, timeless voice and preserves the hallowed sounds of American standards while presenting them in a fresh contemporary light. You might not know her yet, but listen to “Yesterday Is Now” and that will change. Because Josephine Beavers imbues her singing with enough love, depth, and intimacy to make it seem as if you’re not so much listening to a recording but rather sharing time with a friend. And after just a few moments acquainting yourself with her timeless voice, you’ll quickly come to know how “Yesterday Is Now” suits a musical mood the way a silk glove slides onto a lady’s hand. The family friend and vocalist that kept little Josephine from storming the stage was the great jazz and R&B artist Al Hibler. The featured performer that night was indeed royal. It was Ella Fitzgerald. Throughout her childhood, Josephine seemed to remain surrounded by jazz royalty. As the daughter of Laura Joy – an established jazz singer of the Washington D.C. club circuit – she was raised in the standard’s heyday watching her mother share the stage with Duke Ellington, Count Basie, The Charlie Byrd Trio, and other jazz immortals. “To me these weren’t legends, but just part of the family,” Josephine says. It was a family, however, that was nurturing in Beavers not only a life-long love of music, but an indelible legacy to perform it as well. Driven by her legacy throughout her formative years, Beavers performed in small groups and modeled herself after inspirations including Peggy Lee, Lena Horne, and Mel Torme – all strong contrasts to the winds of change dictated by Motown, the British invasion, and other contemporary influences. But having experienced a profession where rewards were rarely financial, Josephine’s mother encouraged her to explore more conventional ambitions. Subsequently, Josephine went to college, married, and raised four children. “I took motherhood very seriously,” Josephine says, “and it rewarded me with many blessings as well.” Beavers notes that although she couldn’t actively care for both a family and a singing career, motherhood nurtured a love for the jazz tradition that today’s younger singers simply have not had the maturity to acquire. Beavers still squeezed in time to perform. She captured hearts at major corporate events, opened for The Count Basie Orchestra ensemble at Chicago’s historic Regal Theater, and toured as a special guest artist with the McDonald’s All-American High School Band. And, at every place she sang, more than chords of music and ovations were being struck. McDonald’s founder Ray Kroc, for example, had a standing request that Josephine sing at his lavish birthday parties. There was also the interaction with longtime friend, Ed Vodicka. As an accomplished arranger, pianist, and music producer of radio, T.V., and national concert tours, Vodicka was eager to produce an album that wrapped his penchant for rich orchestral phrasing and jazz scholarship around Josephine’s classic sound. But it was an ambition that would have to wait. “Loving anything to its fullest takes one’s all,” Josephine admits. “As much as I loved music, I was completely committed to seeing my children grow up with proper parenting. My time to sing would wait.” Beavers’ patience paid off. When her children entered adulthood, her affiliation with Vodicka matured as well. And they formed a partnership that began making not just music, but magic. It was an infectious touch, as well. Once ready to go into the studio, Josephine’s talents attracted noted personalities to the idea of recording. The iconic Capitol Studios in Hollywood was determined to be the venue, and the production utilized an all-star orchestra of thirty-three of Los Angeles’ top studio musicians. Featured artists included trumpeter Conte Candoli, Pete Christlieb on tenor sax, bassist Andy Simkins, Larry Bunker on vibes, plus two of Chicago’s very own: jazz violinist Johnny Frigo and harmonica master Howard Levy. The combination of Beavers’ lyrical interpretation and Vodicka’s scoring brought a refreshing breath of air to studio musicians extraodinaire more accustomed to gigs recording the current Pop music. “What we all captured in those sessions was the sheer joy of performance,” Josephine says. “It truly was a labor of love for all involved.” The result is an impressive variety of blithe solos, swinging up-tempos, and tender ballads supported by lush orchestral hues and splashes of lively brass. But for the full definition, one needs only to press “start” on their media player of choice. For it’s there that Beavers lets her timeless voice pour out this special musical homage — the way water cascades from an eternal spring.